Navantia has become the second Future Frigates contender to announce it has submitted its bid to the Commonwealth for the $35 billion project. The Spanish shipbuilder said its F-5000 – an evolution of the soon to be commissioned, Navantia-designed Hobart Class destroyer – will be designed locally to meet specific requirements of the Royal Australian Navy and built in Adelaide using expertise, experience and equipment from Australia. Navantia said the F-5000 will incorporate lessons learnt from the operational requirements of the Navantia-designed and built Norwegian F-310 ASW (anti-submarine warfare) frigates that have been in service since 2011. The F-5000 will incorporate 48 strike length missile cells, a Mk45 5-inch gun, an advanced above water sensor suite, and integration of the MH-60R combat helicopter and UAV. Navantia Australia board member Warren King said Navantia's bid draws on the company's history in the Australian shipbuilding industry and offers a low risk option to Australia for the $35 billion project. 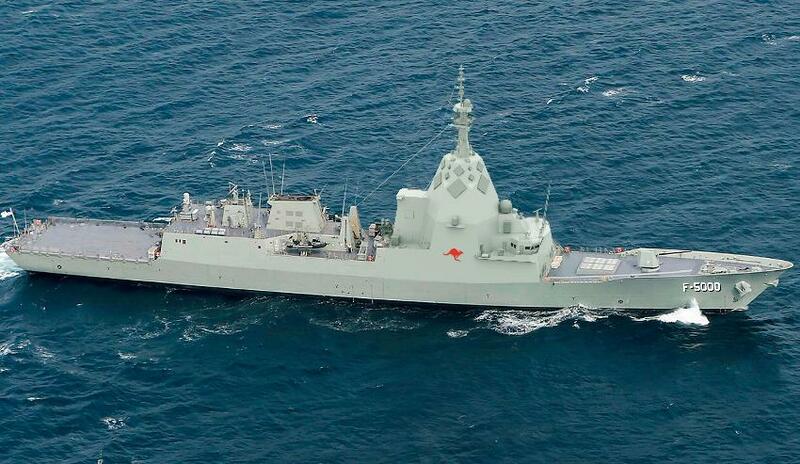 "When Navantia first partnered with the Commonwealth on the Hobart Class destroyer, we didn’t have a ship designer, and we didn’t have a shipyard," King said. "Now, over a decade since the partnership first began, Navantia Australia has developed the intimate customer knowledge, understanding of Australian industry capability and commitment to building Australia’s own shipbuilding industry." Italian firm Fincantieri and UK multinational BAE Systems are also tendering for the $35 billion project that will see nine frigates constructed for the Australian Navy. Fincantieri has put forward its FREMM Frigate, while BAE has offered the Global Combat Ship-Australia, a variant of its Type 26 Global Combat Ship for the UK Navy, a project that recently commenced manufacturing. Construction for the Future Frigates Project is due to commence in Adelaide in 2020. Australia's Austal and ASC Shipbuilding have entered into a teaming agreement for the project, which will see the companies pool their resources, skills and experience and act as one in support of the program, regardless of which of the three contenders is successful. The frigates will incorporate the Australian-developed CEA Phased-Array Radar and the weaponry will be US, according to Minister for Defence Industry Christopher Pyne. "The weaponry of course will be United States' weaponry," the minister said in March. "That will be integrated into the winning vessel."